Euro continues moving downwards; during correction I opened another sell order. Target is the group of lower fibo-levels at 1.3465 – 1.3455. However, considering that price fell down quite deep, we can’t exclude the possibility that market may start more serious correction. 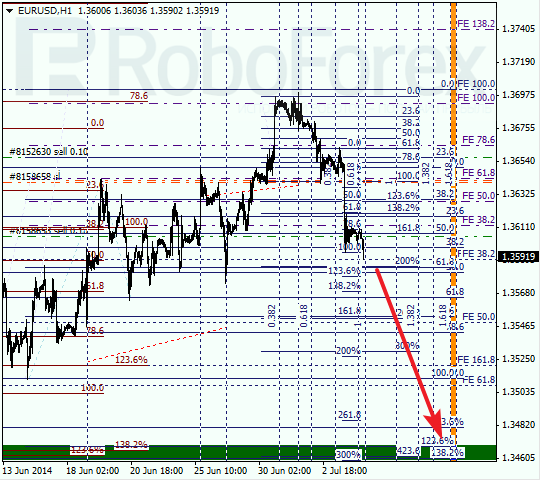 As we can see at H1 chart, lower targets are confirmed by local fibo-levels. According to analysis of temporary fibo-zones, predicted targets may be reached by the middle of the next week. 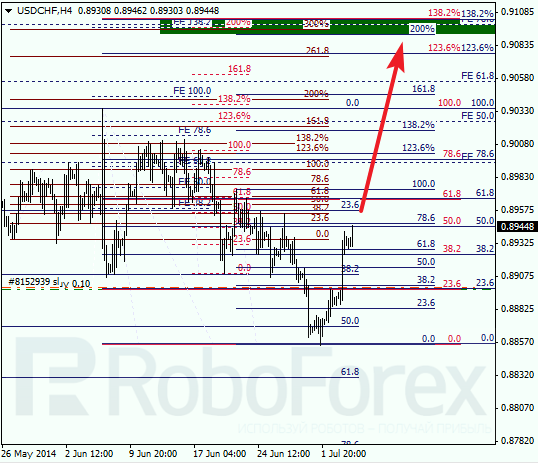 Franc started growing up towards the group of upper fibo-levels at 0.9105 – 0.9095. Stop loss on my yesterday’s buy order is already in breakeven. In the future, if pair starts new correction, I’m planning to open my second buy order. 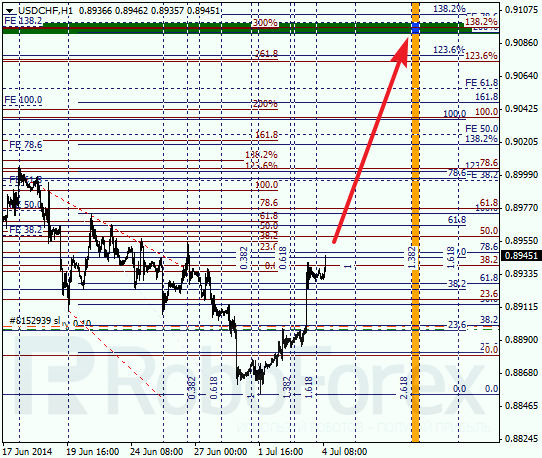 As we can see at H1 chart, there are several local fibo-levels inside upper target area. According to analysis of temporary fibo-zones, predicted targets may be reached by next Wednesday.